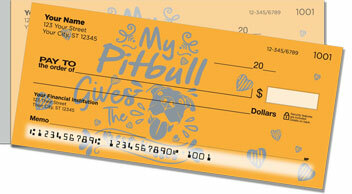 There's nothing scary about your pit bull, and you're willing to pay extra to keep him, aren't you? With the enactment of so much breed-specific legislation recently, that's exactly what it's coming to. In fact, besides the mandatory spaying/neutering of pit bulls, some localities now require pit bull owners to carry liability insurance. Others mandate that such dogs be muzzled in public, and some municipalities even make you microchip your dog! Whatever! You'll comply because your pooch is worth it! 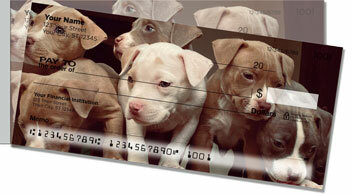 Still, it's not fair, and that's why we offer these artistic Pit Bull Side Tear Checks. 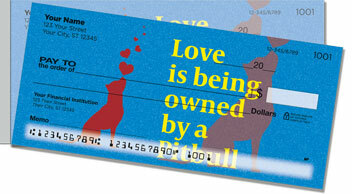 They're among the most stylish and affordable dog checks you'll find anywhere online. 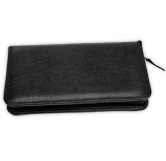 Good thing, since you've got to cover the cost of keeping your companion legal! 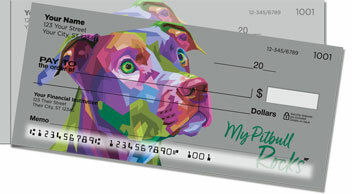 Make our artistic pit bull checks and matching address labels yours today!